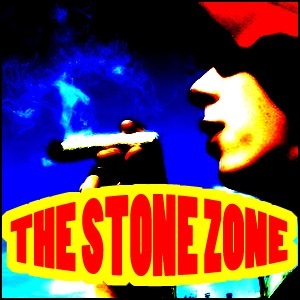 A ton of laughs included in this great podcast lineup of Stone Zone Shows. The lighter, stonier podcast. You should listen and follow this great produced show as it grows. Highly reccomend this cast. These guys are effing awesome! Hours of listening pleasure here. Just breathe deep with your ears. Guys keep up the great work. u guys r doin great keep it good brothaz! this show is the only cast worth listening to. love this potcast, what great fun, keep em coming guys! This podcast is awsome. Its the perfect balance of high tthoughts and awsome jams. There is nothing better than lettting the green herb set you free and listening to this extremely entertaining show. I love you guys and keep it up. STONE ZONE IS TOTALLY STONERIFIC !!!!!!! !